This is a great recipe for an easy to bake cake that is sure to impress, prefect for coffee mornings, school fete’s and other events. 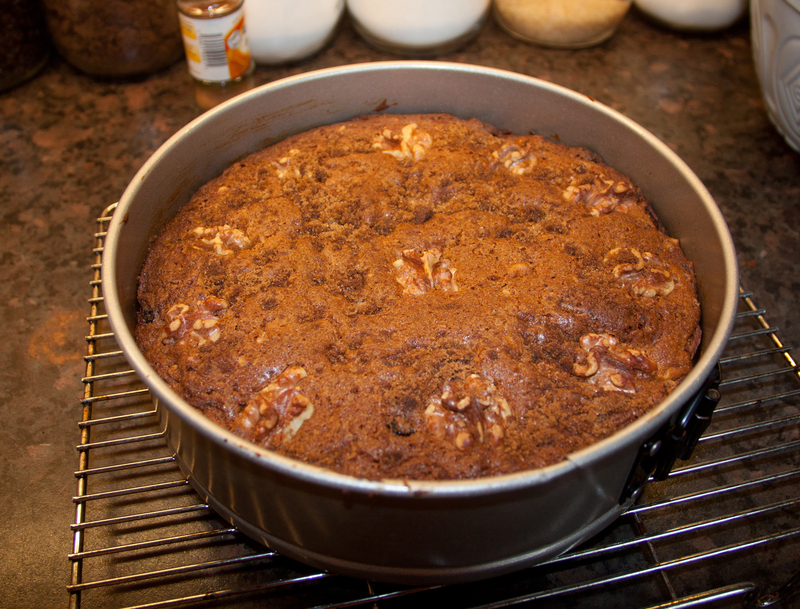 The classic mix of Apples and Cinnamon combined with some Walnuts and juicy sultana’s make for a great flavour combination as well as a light crumbly cake. Pre-heat your oven and set to 180c /160c Fan / GM4 and grease your tin, line the base with some grease proof paper. Peel your apples, and de-core the apples, then grate the apples, put the grated apples aside in a bowl. Don’t worry if they start to turn brown this is natural and will not affect the flavour of the cake. 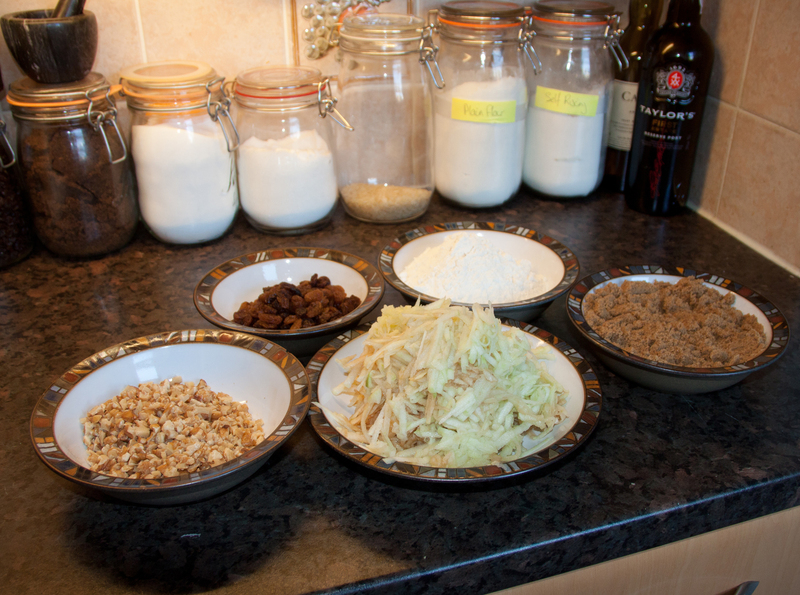 Take your dry ingredients flour, sugar, walnuts, sultana’s and baking powder, give them a rough mix. Now add the butter and eggs and mix well with a sturdy spoon, you can use a mixer however this is quite a thick mixture. Mix until the mixture looks smooth and consistent. 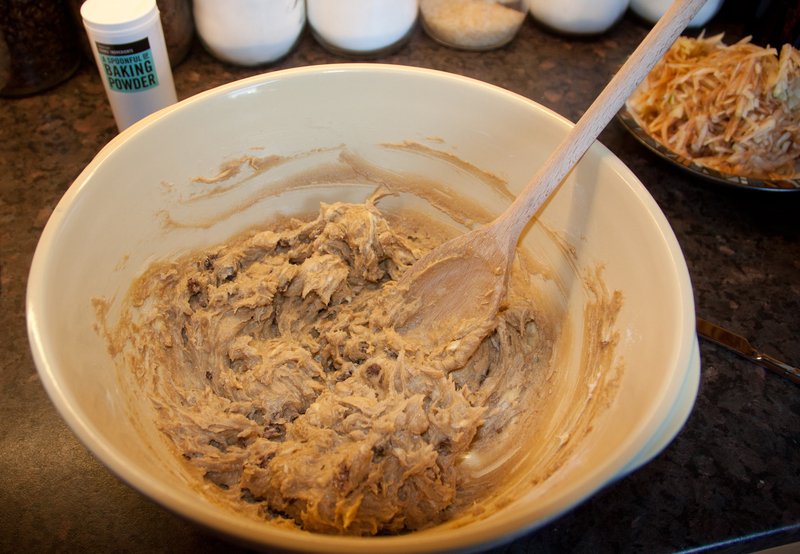 Spoon out around half the mix into your greased cake tin and smooth out to cover the entire base. Give the grated apple a gentle squeeze this takes out some of the juice allowing the cake to be moist, but without the soggy bottom. 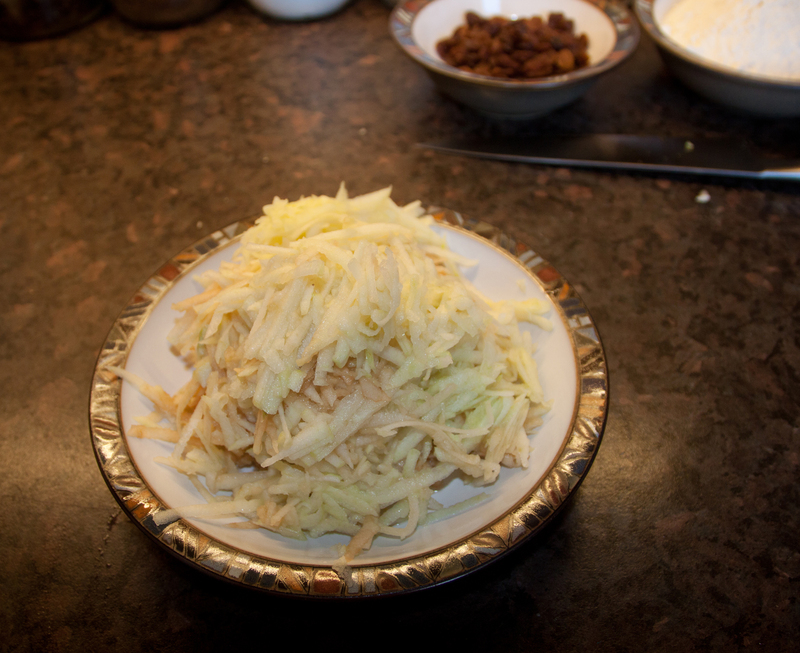 Spread the grated apple over the bottom layer of cake mix and smooth it out so it is nice and flat, now sprinkle the cinnamon over the grated apple. Spoon over the remains of the cake mix and smooth out. Decorate with some walnuts and sprinkle over some light muscovado sugar. Put into the over to bake for around 1 ½ hours. When cooked and golden brown, remove from the oven and leave to cool in the tin for 5 – 10 minutes, then turn out from the tin, peel off the grease proof paper from the base and leave on a wire rack to cool off fully.